Contemporary country cuisine has never been this nutritious and inspiring. 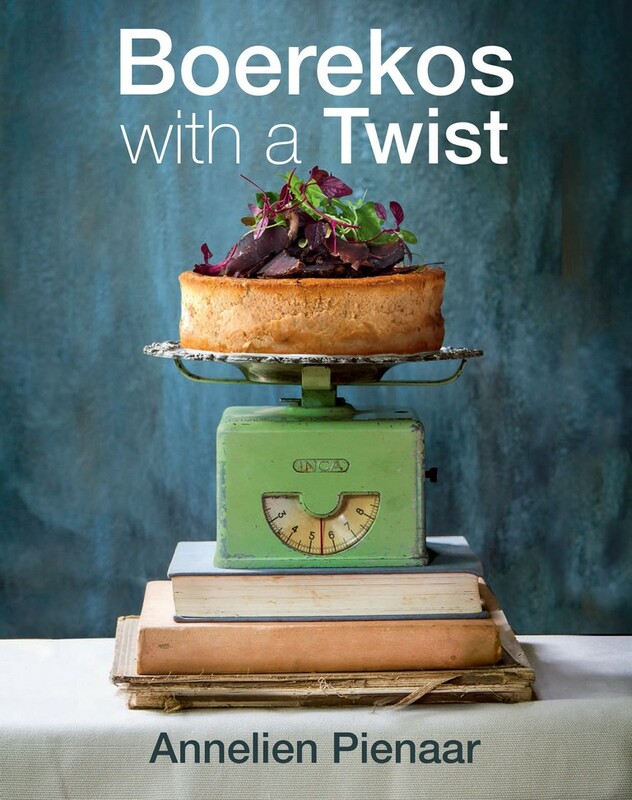 It’s easy to be a foodie when ‘Boerekos with a Twist’ is your kitchen companion. This is not your usual cookbook, but rather a practical guide that demystifies the whole cooking process – from difficult jargon to basic concepts using fresh, in-season ingredients. Celebrating down-to-earth food, country girl, food scientist and blogger Annelien Pienaar’s recipes are time-honoured family favourites. Each will inspire you to create healthy, proudly South African food with a twist. In addition to her blog boerekostwist.blogspot.com, food scientist Annelien Pienaar and her husband Hanru, are pecan nut farmers and the owners of the guest farm Bos-en-Berg which is situated near in Skeerpoort, just outside Hartebeespoort. This is where Annelien runs her cooking school from. Annelien is also a regular on radio and TV where she sets the country alight with her easy cooking and restaurant style dishes. She loves writing and is very keen to be part of the foodie community with regular posts on her blog about all things food, but with a twist, of course. My mom would make this recipe time and again when she was hurrying off somewhere and didn’t want to show up empty handed. I was amazed at how she would come up with all these ideas. The best part of this recipe is that it is so quick to make and it makes very little mess. The ingredients are placed in a bag and mixed together. The pastry isn’t very rich, which makes these pies perfect for a food parcel – they also taste great cold! Make the pastry: Sift the cake flour, baking powder and salt together. Place the sifted mixture in a large plastic bag and add the oil. Squeeze the air out of the bag and close it with a clothes peg. Rub the bag very well so that the oil spreads evenly through the flour. Open the bag and add the water; close the bag again and repeat the rubbing process. Press the dough together in the bag. Refrigerate for 1 hour. Make the filling: Preheat a pan and pour in the olive oil. Fry the onions for 5 minutes. Add the mince and fry until cooked. Add the rest of the ingredients and cook until the potatoes are soft. Mash the potatoes and season with salt and pepper. Spread the mixture on a greased baking tray and leave to cool to room temperature. Spoon the mixture into a piping bag without a nozzle. Refrigerate until needed. Remove the chilled dough from the plastic bag and roll out until about 5 mm thick. Cut the dough into strips of 8 cm wide. Pipe the cooled mince mixture down the length of the strips of dough. Brush the edges of the dough with water and roll the dough over the mince to form one long sausage-shaped roll. Slice the roll into lengths of your choice. Place the rolls on a baking tray and chill for 1 hour in the freezer. Preheat the oven to 210ºC and grease a baking tray with Cake pan greaser. Bake the rolls for 20 – 25 minutes.